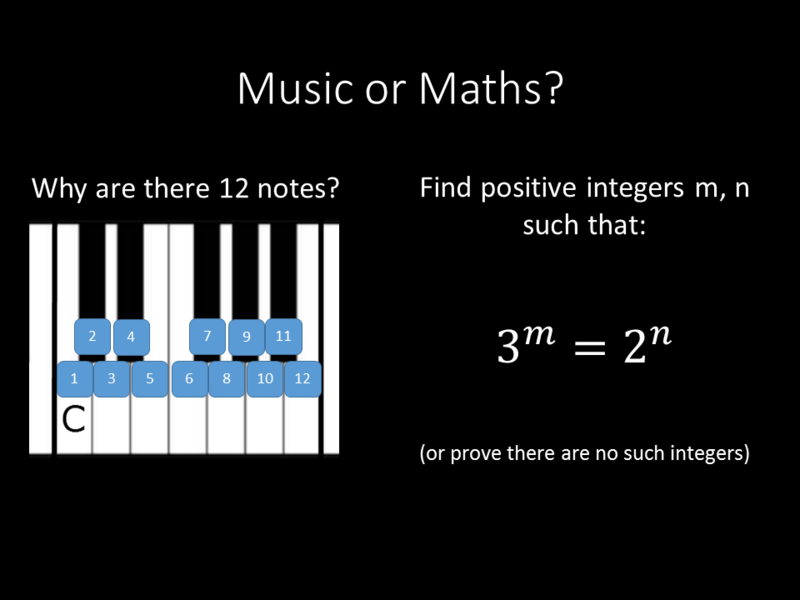 Is there a correlation between mathematical and musical skill? Why are there 12 chromatic notes in an octave? Why do some harmonies sound ‘beautiful’ and others not? Is it an arbitrary opinion, or something more fundamental? How on earth have One Direction got so popular? Tie a strip of paper in a simple overhand knot. Carefully flatten out the folds. You’ll make a perfect pentagon. Fold the overhanging strips inside to make it look really nice. 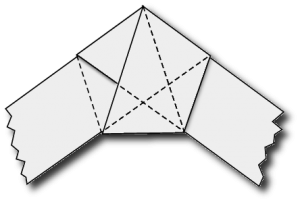 The diagonals of a pentagon divide each other in the GOLDEN RATIO. Go look it up.